We received a lot of great feedback after recently updating our PC buying guide and then building and benchmarking the systems. Our most affordable build, the Budget Box, caught the attention of many readers, costing just ~$500 including a monitor, speakers, keyboard and mouse. This system only has $350 worth of core components but that buys a quad-core CPU with decent integrated graphics, 8GB of high-speed DDR3 memory, a 120GB SSD, an optical drive and a solid case/power supply combo to bring everything together. The Budget Box is ideal for everyday computing though it will handle some lightweight gaming. For anything beyond that you'll want to invest in a dedicated GPU such as the $100 Radeon R7 260X, which offered the Budget Box 355% more performance in BioShock Infinite in our tests and allowed the game to run at 50fps on ultra quality. Although the Budget Box is intended for general usage, if you're building a gaming system, it makes sense to drop the AMD A8-7650K ($105) for the Athlon X4 860K ($75), with the latter being not only cheaper but faster out of the box. The Athlon X4 860K is essentially the A10-7850K without an integrated R7 (8 CUs), allowing it to be a little over 40% cheaper, not to mention almost 30% cheaper than the A8-7650K, and every cent counts toward an entry-level graphics card. While the $75 Athlon X4 860K with a dedicated GPU is a smarter choice than the A10-7850K if you're looking to game, knowing which processor to buy isn't that simple. The only reason we picked AMD over Intel for our Budget Box is because AMD's APUs offer a much better balance of CPU and GPU performance -- it's a single chip solution that can actually handle some casual gaming. However, if you don't plan to run anything 3D-related then Intel is the way to go, as is often the case when installing a discrete GPU. After all, for the same price as the Athlon X4 860K you could own a Pentium G3258, the Anniversary Edition chip that overclocks well beyond 4GHz on air. So then, folks looking to game on a ~$500 machine have a choice to make between AMD's FM2+ platform with the quad-core 3.7GHz Athlon X4 860K or Intel's LGA 1150 platform with the dual-core 3.2GHz Pentium G3258. We dismissed the G3258 to a certain degree when we tested it about a year ago because it's only a dual-core processor and for a bit more money (granted, 60% more), the Core i3-4160 is a safer option thanks to HyperThreading support. Nonetheless, if you're aiming for the least expensive gaming rig possible, then the G3258 is a more feasible choice than the i3. Both the Athlon X4 860K and Pentium G3258 are identical price-wise with supporting motherboards starting at around $40 and going up to $70 if you want the latest chipset (A88X vs. H97), and you'll be buying DDR3 memory regardless so there's no cost difference there either. Your decision will inevitably boil down to which platform offers the best performance where you need it most. To help determine that, we've benchmarked the Athlon and Pentium with the GeForce GTX 960 and Radeon R9 285 in 20 of the most popular AAA titles. The CPUs will be tested with their stock settings and tested separately with each GPU, which will drive games at 1080p, the most popular gaming resolution. For the hell of it, we've also included maximum air-cooled overclocking results for both processors. 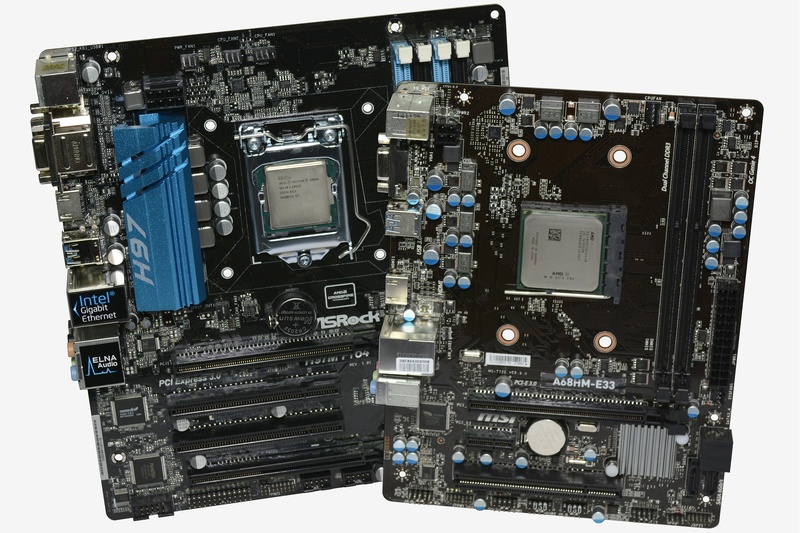 The AMD Athlon X4 860K and Intel Pentium G3258 were both benchmarked at their default operating frequencies as well as an overclocked 4.4GHz configuration. Based on our overclocked experiences with these processors using air-cooling the Pentium G3258 can easily hit 4.4GHz while that's a stretch for the Athlon X4 860K. We used the Cooler Master Hyper 212 Evo for cooling, which is a highly popular $35 budget air cooler.